One Eternal Day: "Beside the rotting river strand..."
Having once read The Lord of the Rings I proceeded to acquire everything I could find by Tolkien. 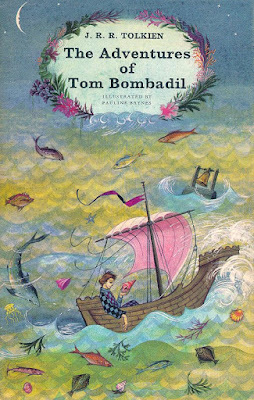 One that I found early on was The Adventures of Tom Bombadil and other verses (1963), a collection of poems supposedly "made by Hobbits, especially by Bilbo and his friends." One of the shorter and darker ones is "The Mewlips." You go to find the Mewlips and the Mewlips feed.